A trained dog is a joy for its owner, but a disobedient, untrained dog that does whatever it wants can become a real problem and can get hard to control. Whether you can’t control your dog anymore or you want to attend a juried event (such as a canine competition), you can always try dog training. A dog training school can help both the dog and the owner cooperate and understand each other better. 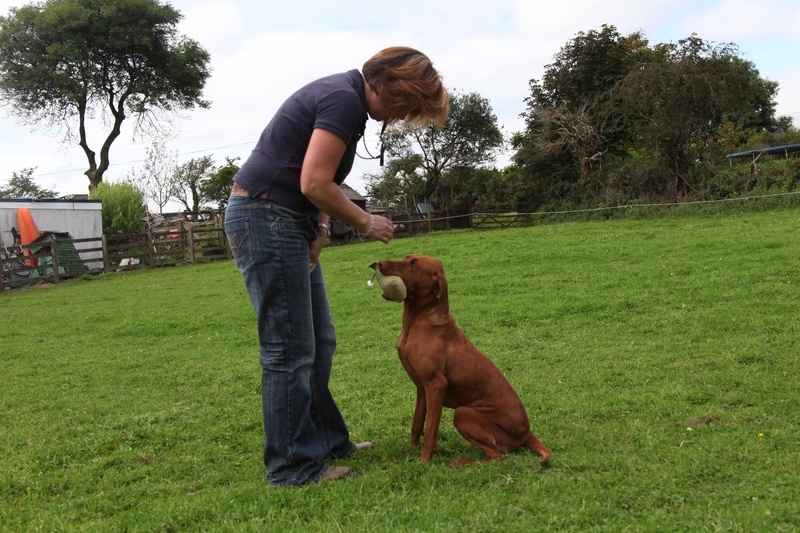 Training sessions are ideal for people who want to have an obedient, trustworthy dog; qualified professionals supervise the dogs, will help with any information you need and give you practical advice. The training is always based on positive stimulation because the dog should receive a treat every time it does something right. Force will never be used to correct unwanted behaviors; instead, they will be patiently but firmly adjusted. The dog’s owner also has a great importance in its training, so it is necessary that he will continue working with his dog even after the training sessions are over. Dogs can be trained in any language, depending on the owner’s requests. Dog training can be used for improving what the dog already knows or for correcting disobedient behaviors. Choose a dog training school that gives a free first training session, so that you can decide if you like their approach or not. During the first session the dog is usually being evaluated and the owner is asked about the behavior problems that the dog may have. After gathering all these information, a specialist will come up with a training plan that will be explained to the owner. Some schools have the option of keeping your dog at a pet hotel until the sessions are over, for faster and better results. After this period is over, you can take your dog home and continue training just as you were told. You should look at this website to find out the best dog training school in Sydney. However, sometimes the dog has already been trained but doesn’t listen to your commands. In this case, its behavior will be corrected and then a new training will be started, where you will have an active role, because you are the one that the dog has to obey. This is the reason why you should be involved in at least 5 sessions, even though you should attend all sessions to control the commands faster. By the end of its training, the dog should learn all the commands the trainer has taught him, so you will work with the trainer until the dog obeys you as well.